Super Sales Machine Review - Avoid This Scam! 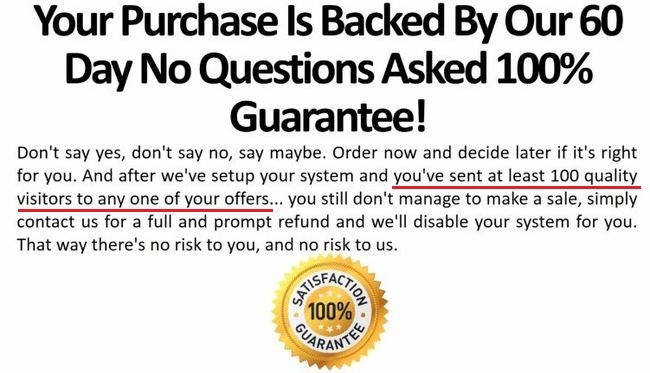 Super Sales Machine Review – Avoid This Scam! Some readers have asked me to write a long-overdue Super Sales Machine review, so I’ve done a detailed research into it and found it to be a complete mess of incoherent sales pitches. It’s OK if you have no idea what Super Sales Machine really is, because it’s designed to be opaque in order to confuse its victims. I’m here to give you a clearer picture of how the scam works, so you can evaluate it properly and hopefully avoid similar scams in the future. In the sales video of Super Sales Machine, Aaron Dankes advertises his system as a network of highly profitable website that generate profits for you without any hard work from your part. Despite having a full 4 minutes dedicated to his sales video, he did not provide any useful information about how his system works, or how you can generate profits after buying his product. In fact, Aaron was using the typical scam tactic to generate tonnes of hypes and promising huge profits without providing any concrete and useful information. The most important lesson you can learn to protect yourself from future scams is to avoid paying for any product or system that you do not understand. If you can’t tell how the system works to generate profits for you, it’s a good idea to give it a skip. Super Sales Machine system is a service to build a basic niche website coupled with generic internet marketing training program. Even though it sounds like a legitimate service, Super Sales Machine is actually giving false promises and expectations for newbies who are new to internet marketing. Within their sales page, Aaron and Super Sales Machine scam tried to use the common sales pitch of making quick and huge profits online to lure their victims in. Unfortunately, too many victims gave in to their greed and fail to analyze the scam rationally. Here’s a quick breakdown of some the lies told by Super Sales Machine in their sales page and the bitter truth behind them. You sell your own products via the website set up by Super Sales Machine and keep 100% of the profits. The products planted into your website actually belong to Aaron and his associates, and you only get a small commission (instead of 100% profits) if you manage to sell them. Those are NOT your products, and most if not all of them are low quality scams that provide no real value, so they will be extremely hard to sell. Your website is ready to make profits within 72 hours or less. The website you get from Super Sales Machine scam is nothing but an empty site littered with a bunch of affiliate links. You have to generate your own traffic and convert them into buyers. If left on its own, your website will not generate any traffic, let alone sales and profits. Does Super Sales Machine really worth $9,215 in real world value? You are getting a ton of real world value out of Super Sales Machine. You are overpaying way too much to Super Sales Machine for the crappy service they provide. They give you false promises, fail to disclose the additional fees required to buy web domains and hosting, and give you access to generic internet marketing course that doesn’t help you. In fact, you can get much higher quality training, 2 web domains and unlimited hosting for free with Wealthy Affiliate. How Super Sales Machine Scam Really Work? Even though it’s touted as a fully-automated system that will generate profits for you, it simply doesn’t work that way. So what do you have now? You have a brand new website that has zero content and zero value with just a bunch of affiliate links. Without content and value, your website won’t rank in Google search results, which means no internet users can find and visit your site. There’s no traffic generation from the Super Sales Machine team either, so you are practically left on your own. Now you have a useless website that gets zero visitor and zero sales, and it’s up to you to learn SEO, keyword research, website ranking, traffic generation, advertising, and sales conversion to even have a chance of making it work. In other words, if you buy Super Sales Machine, you will NOT get any of the quick profits promised by the scammers. It is definitely not automated, and you will not profit within 72 hours. That is just a sales pitch Super Sales Machine wants you to believe to take their bait. You will instead get a brand new website that’s full of affiliate links (Google hates affiliate sites that doesn’t provide value) that doesn’t rank in search results and doesn’t generate sales. Just take a look at the member testimonials and their websites provided in the sales material. Most of these websites are inactive/expired, which means that the owners have given up their sites and did not renew their domains. Some other websites are still up and running, but they consists of only 1 or 2 pages and do not provide any value to their visitors. Will you buy anything if you come across these websites? According to Alexa ranking and web traffic reports, none of these websites rank in Google results and generate any meaningful traffic. They were most likely victims of Super Sales Machine system and realized that there was no way they can make money with it, so these websites were ultimately abandoned. Can You Get a Refund on Super Sales Machine? Even though Super Sales Machine provides a 60 days money back guarantee on your purchase, their terms and conditions make it extremely difficult for you to get a refund. According to their terms, you have to send at least 100 quality visitors to any one of your offers before they can issue a refund to you. Think about it. The scam is set up in a way to trap you in a difficult situation. With your website generating zero traffic, there is no way you can send 100 visitors to any of the offers listed on your website. Since you can’t fulfill this condition, there is no way you can get a refund from Super Sales Machine scam. The $97 you have paid to the scammers is basically not retrievable. Is Super Sales Machine a Scam? It’s pretty clear that Super Sales Machine is just out to get your money. The final verdict is YES, THIS IS A SCAM! 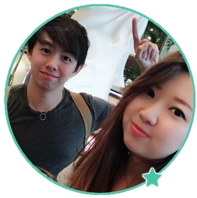 K Money Mastery Review – Is K Money Mastery 2.0 Worth It? I found this review helpful and avoided becoming a victim. Thank you for taking time to share your review with the world. I bought the $19.95 Internet training which is actually a really good product. Over 300 videos in most of the subjects necessary for Internet Marketers. I then paid $37 for the right to sell that package and a traffic package allowing me to collect $19.95 and $37 directly into my paypal account. They never sent me the resell access. They’ve been pitching me the $97 package to get access to it. They will not respond to ANY messages to support. Because of this I deem them untrustworthy. They don’t use clickbank, Jvzoo so it’s hard to file a grievance with anyone. I also got suckered in to buying a useless ebook store from them. First I bought 134 PLR products to use for myself but they offered to install all of them for me for me into a store for about $150 bucks. I figured it would take me forever to do it myself so I went for it. Problem is the stuff is good for lead gen or freebies which was my original intent. But the store looks cheap and doesn’t look like it’s worth the time to drive traffic to weblearningstore.com. My biggest gripe though is that they won’t contact me. Stay away from them is my advice. I was strongly considering buying this product. The promise of having everything “done for you” would mean not having to go through the learning curve involved in setting up everything. To a non techie, that’s a huge hurdle that’s eliminated. But, if there is nothing of real value on the other side, you’ve gained nothing except false hope. Thank You for helping us avoid this bullet. I just saved $97 plus all the other costs I would have paid en route to disappointment! Thank you, this is the first review I’ve read that really explains what the program is all about. I’d have fallen into the scam if it’s not for you! Hey Nathan, glad you found it useful!